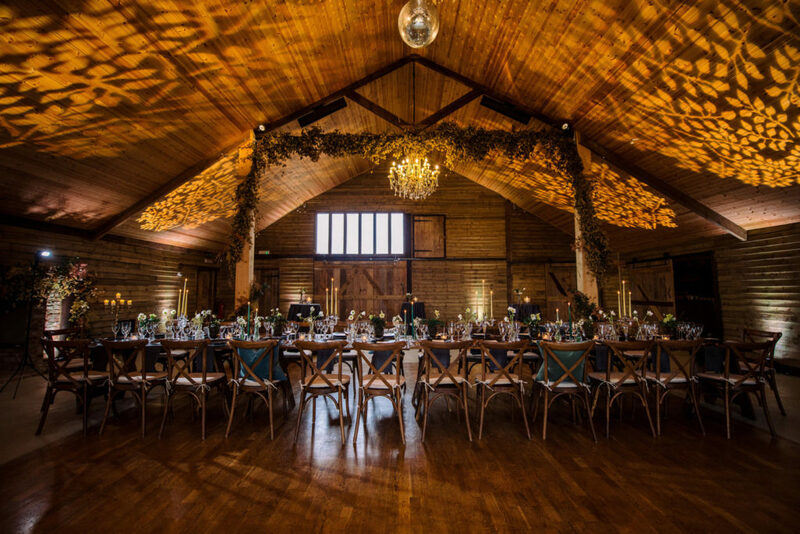 Our wonderful barns offer great flexibility for expressing imagination and creativity. 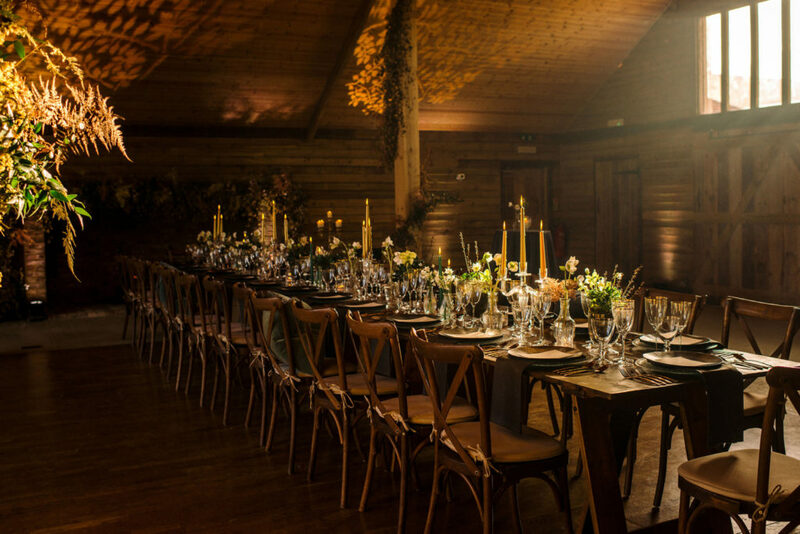 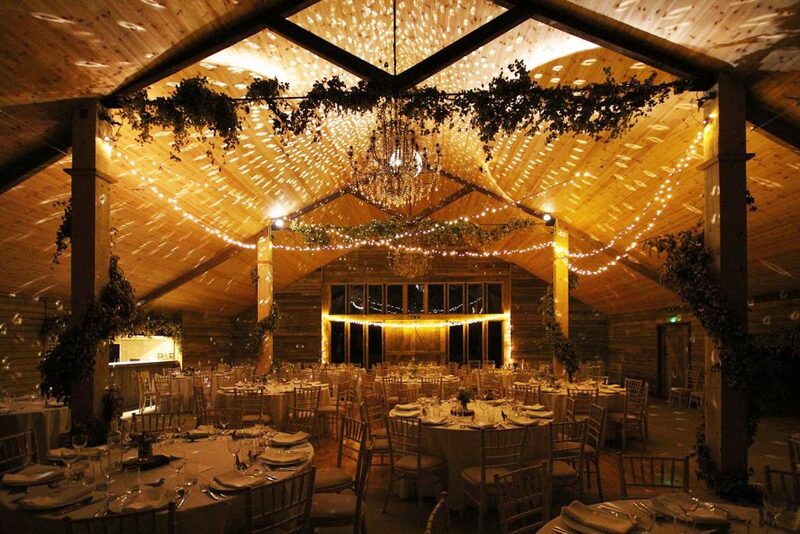 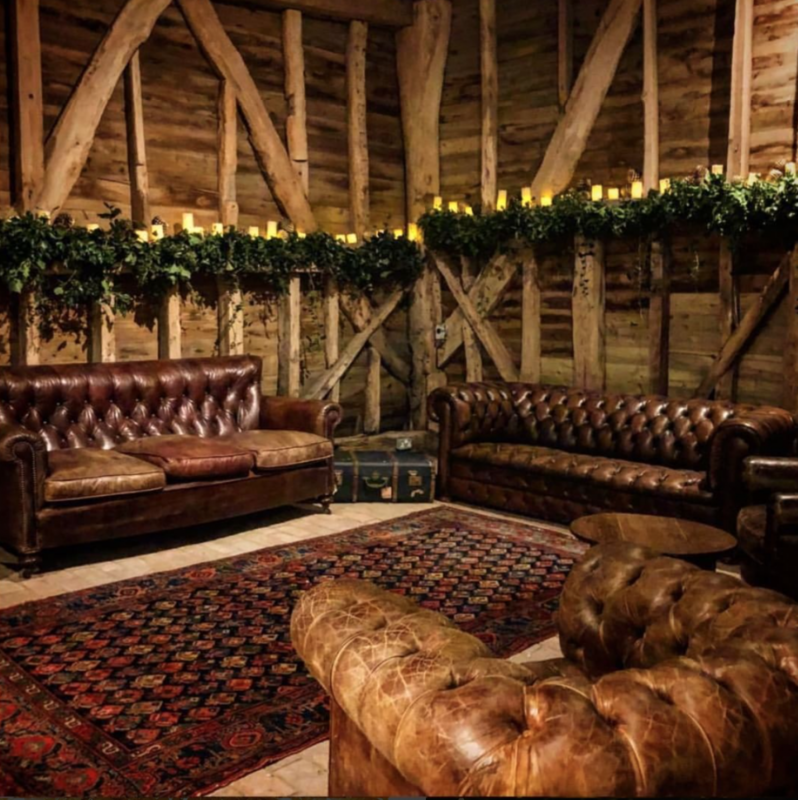 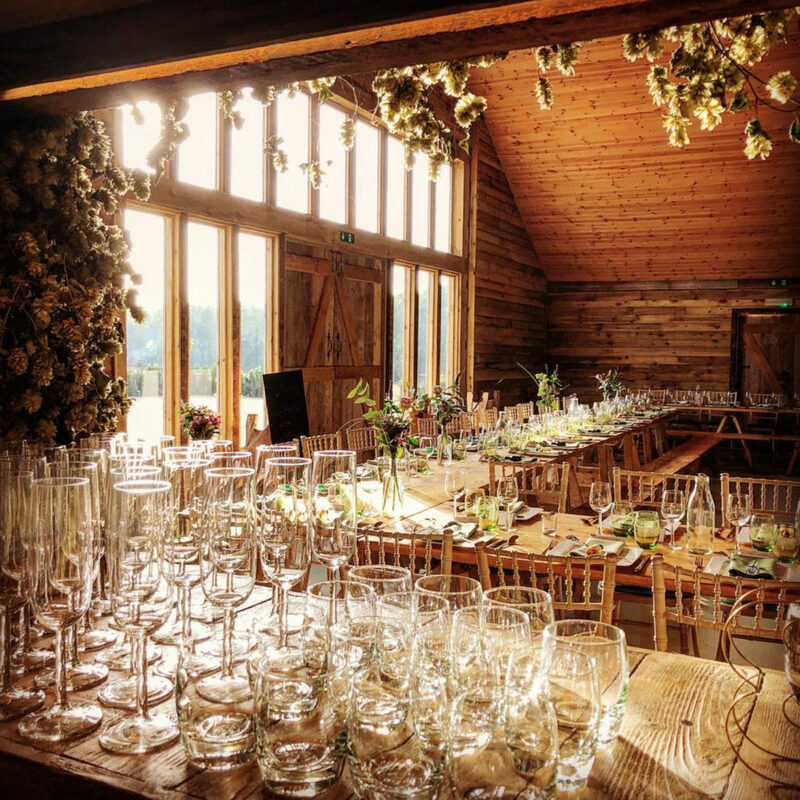 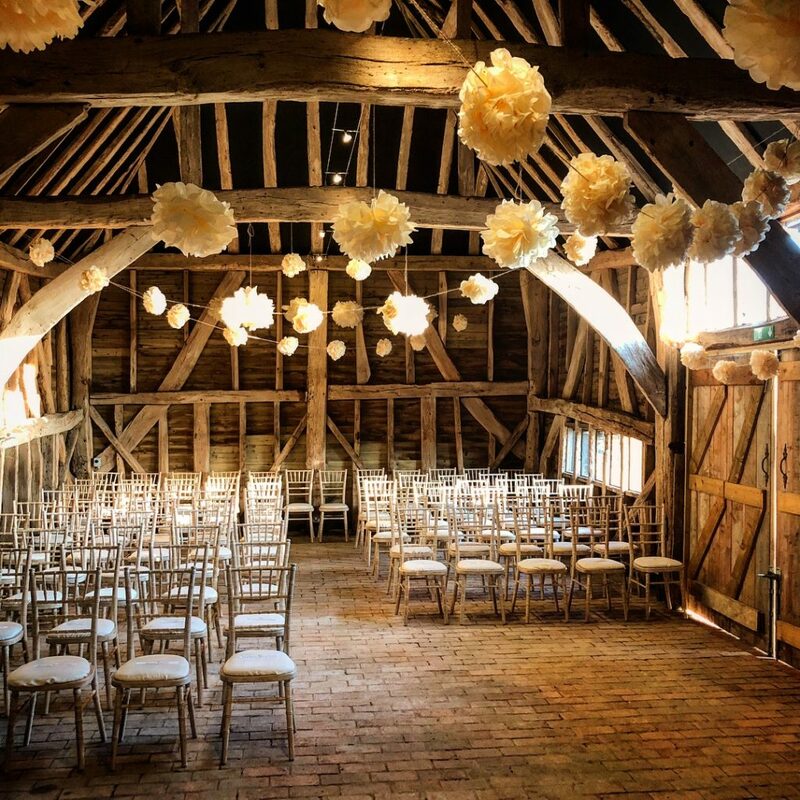 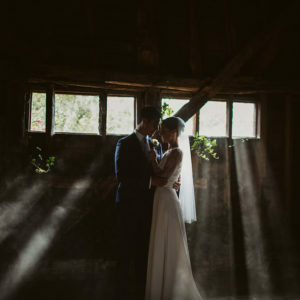 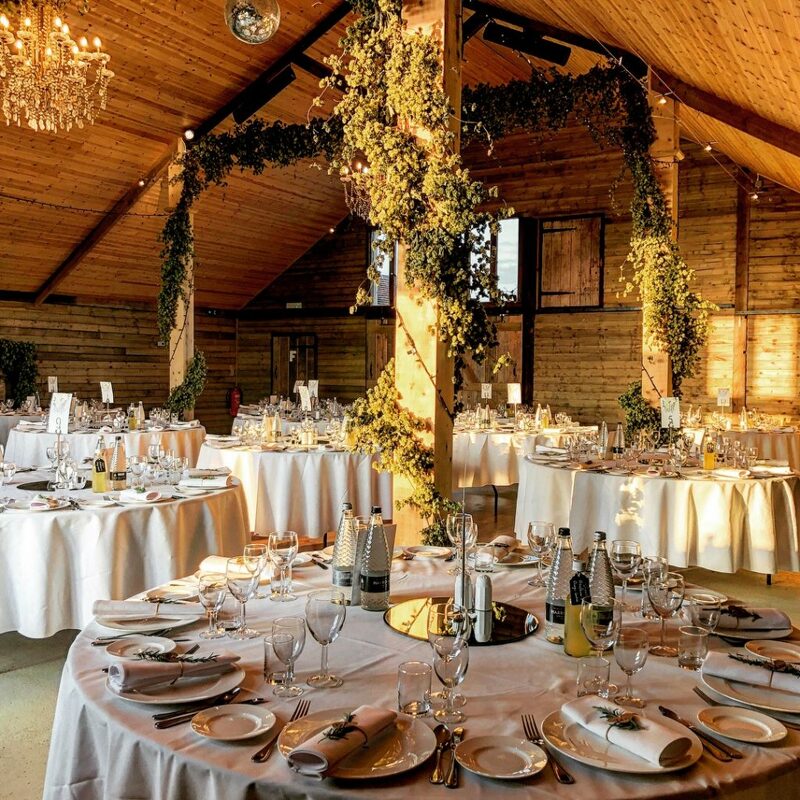 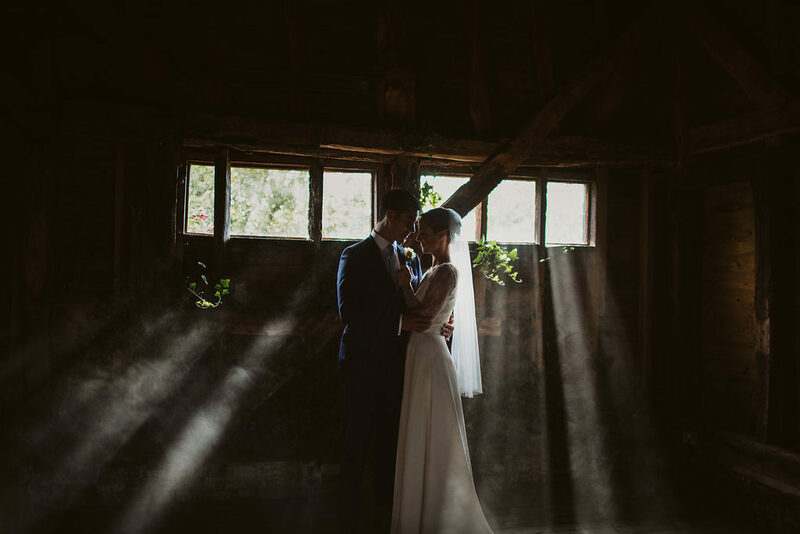 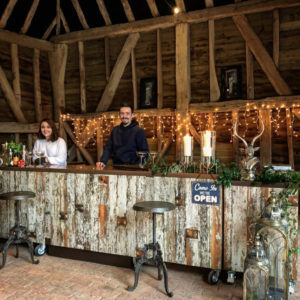 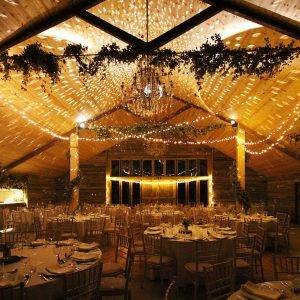 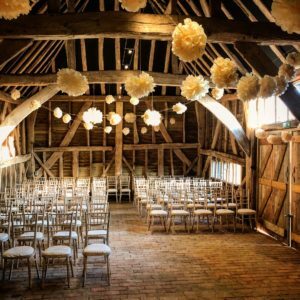 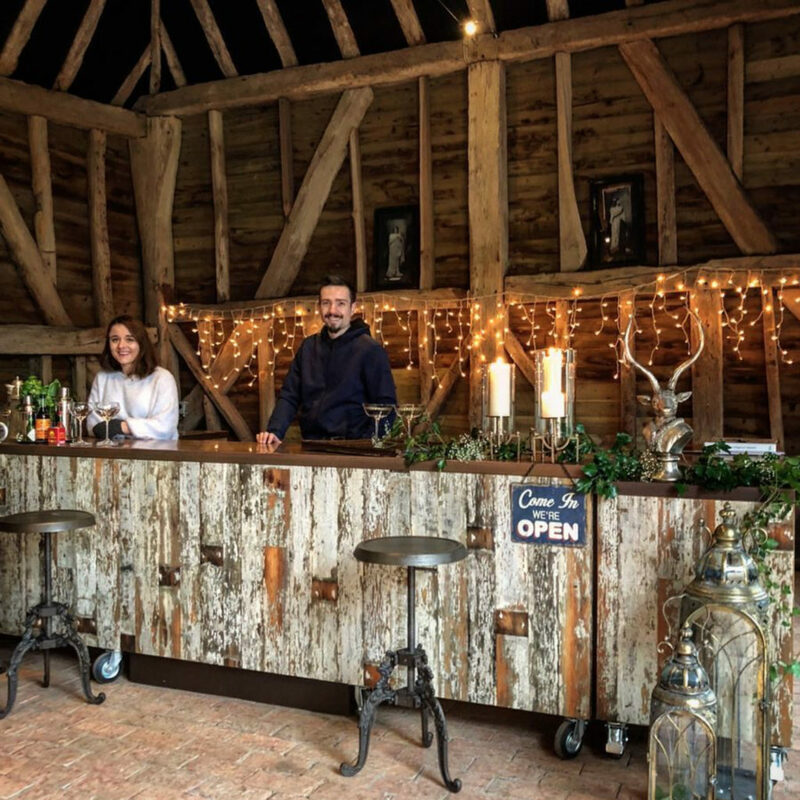 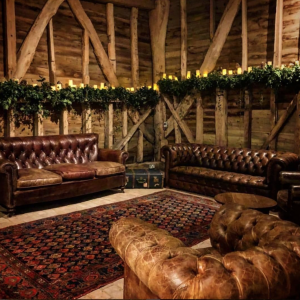 The large hay barn, complete with huge inglenook fireplace and chandeliers can seat up to 164 guests alone, with the additional interlinking Elizabethan barn suitable for receptions and ceremonies. 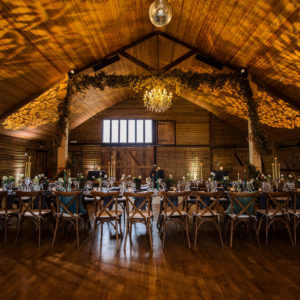 Throughout, the vibe is cool, glamorous and yet rustic. 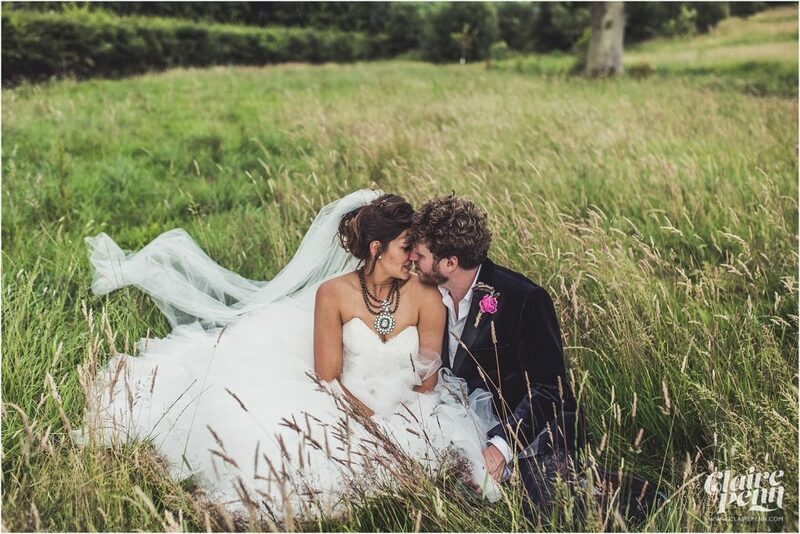 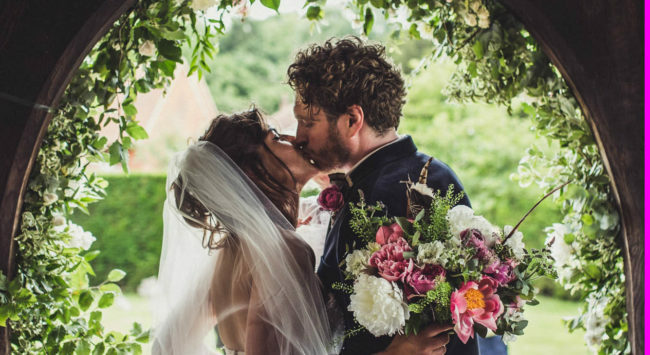 Outside, the courtyard and walled rose garden look out across unspoilt countryside with far reaching views providing a beautiful setting for the bride and groom’s arrival, sipping Champagne and mingling amongst friends. 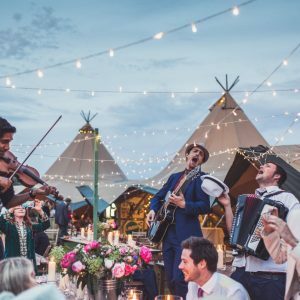 For larger events, there is ample space for additional structures such as marquees, tipis or stretch tents. 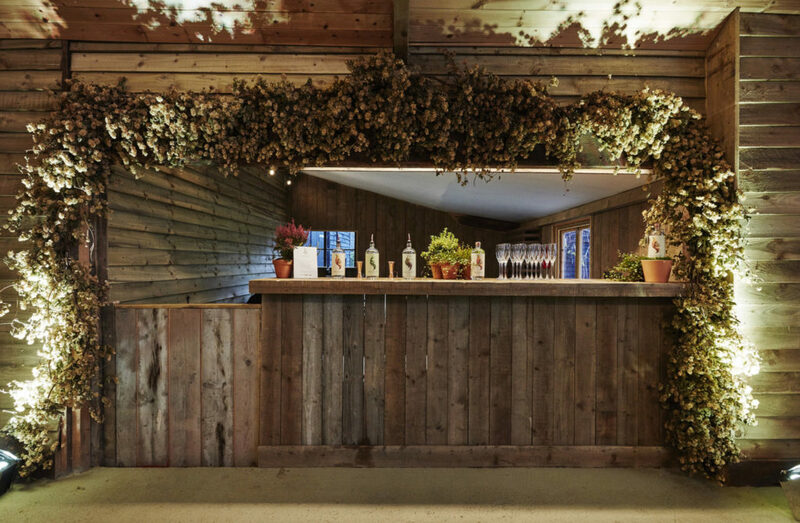 You are free to bring your own alcohol, there are no bar setup charges or corkage and tables and chairs are included. 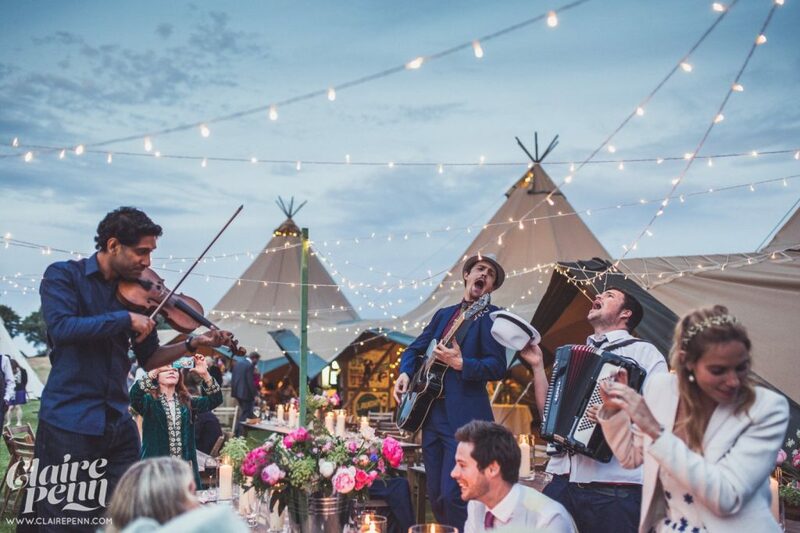 Our music off time is midnight with hourly extensions available subject to agreement. 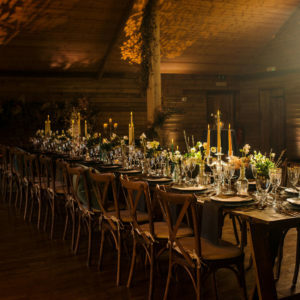 The additional cost for catering and staffing is subject to your specific requirement. 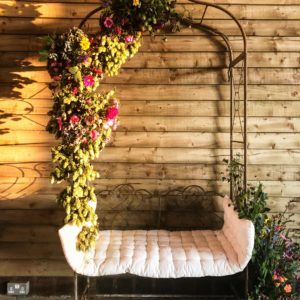 We have a wonderful area for glamping with toilet pavilion and showers which is available for hire and some on-site accommodation in our Stable Cottage. 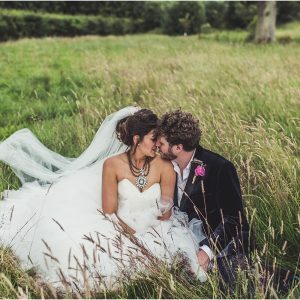 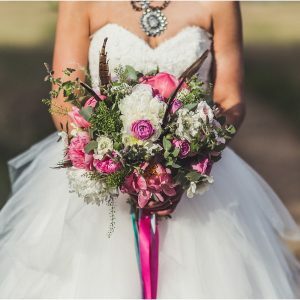 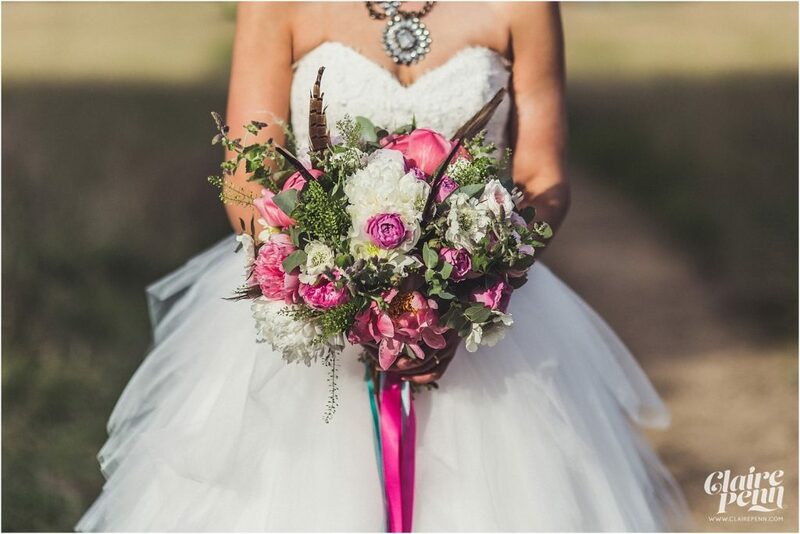 We only hold a very limited number of weddings here in any one year in order to maintain a high level of exclusivity, ensuring each one is totally unique and special. 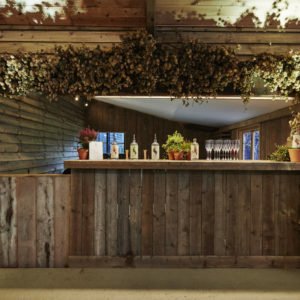 To discuss your requirements or to arrange a viewing please contact us.